The College of Law is the largest provider of practice-focused legal education in Australasia, offering innovative, practical education and training for legal professionals. 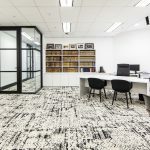 IA Design were appointed by the College of Law South Australia (CoLSA) to provide assistance with the selection of accommodation options and design of their new campus fit-out. IA reviewed four sites with the client, assessing each one against specific requirements and completed test-fits of each space to determine the most appropriate solution. A feasibility report was issued to CoLSA detailing the opportunities and shortfalls of each site to assist their decision making. 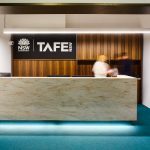 IA delivered design, documentation and construction assistance for the new fit-out, working closely with CoLSA to ensure the fit-out would meet budget and design expectations. Extensive value management sessions were undertaken to ensure CoLSA realised optimal value. IA single selected a builder to assist the construction and worked closely with them to meet the pressures of the practical completion date.